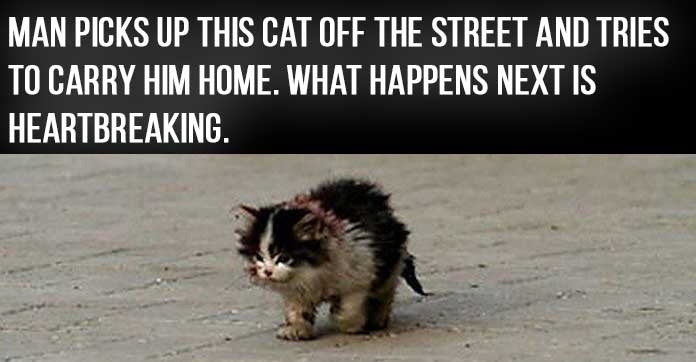 I can’t confirm this story, but we did take in a stray cat or two when I was a kid. Turned out to be great pets. Okay so one rode the neighbor’s dogs around for fun with nails embedded in their flanks. Another was dumb as a box of nails. Still, a little attention and they were happy. Even if it’s not true it’s a good (sad) story.